Air pollution is a huge concern for all who know what it entails. Particularly in China, but also in a wide number of countries across the planet, it is a massive issue that causes a large quantity of lost productivity and also health expenses too. There are a wide range of basic solutions that could be utilised in order to end or at the very least limit air pollution across any of the major countries that are currently pollution the air in the world. Firstly, the number one method would be stop using coal as an energy source and eventually try to get away from using any of the fossil fuels that notoriously pollute our planet. Unfortunately it’s not quite as simple as that, many governments are highly reluctant to change and some countries are not fazed by the concept of polluting the planet to animal’s and human demise. One factor that could help to propagate the spreading of this information would be to publicise air quality information across all major news stations and therefore enable it to be easily accessed by the public. One method that could be utilised in tackling the actual act of polluting the planet would be to tighten the controls of power plant emissions, this would force these companies to search for new ways to produce power, rather than using traditionally fossil fuel based methods that are extremely toxic for Earth and all of its species. We should also act to try to introduce cleaner fuel standards and make the currently gradual change to utilising electric cars much faster – and across the world too. Petrol and diesel are extremely toxic to the atmosphere and are undoubtedly speeding up global warming to a much higher rate. 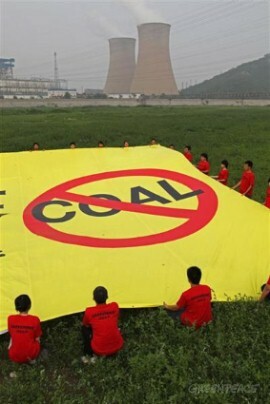 We should also try to prevent the creation of new power stations across the world, currently there are very few nations that put any sort of restriction on the production of these buildings, this is a fundamental issue that we face and unless we stop this one at the root it will continue long into the future and by the time we realise, it may already be too late. In addition to this, when new power planets are sanctioned, they should be limited in size and total output, therefore we can manage their emissions much more readily. Many thanks again for all of you true activists for reading my post, you are the people that are making the difference to the world – so many people are not taking any form of action and are simply talking about it thinking that they are helping – this is not the case and it’s crucial that we recognise this. Please share the link to my blog to all of your environmentalist friends and hopefully we together can make a difference. I’m not sure if this will be the case, but hopefully it will be, fingers crossed and lets hope for a bright and pollution free future for us, our friends, our children and all of our future generations too.